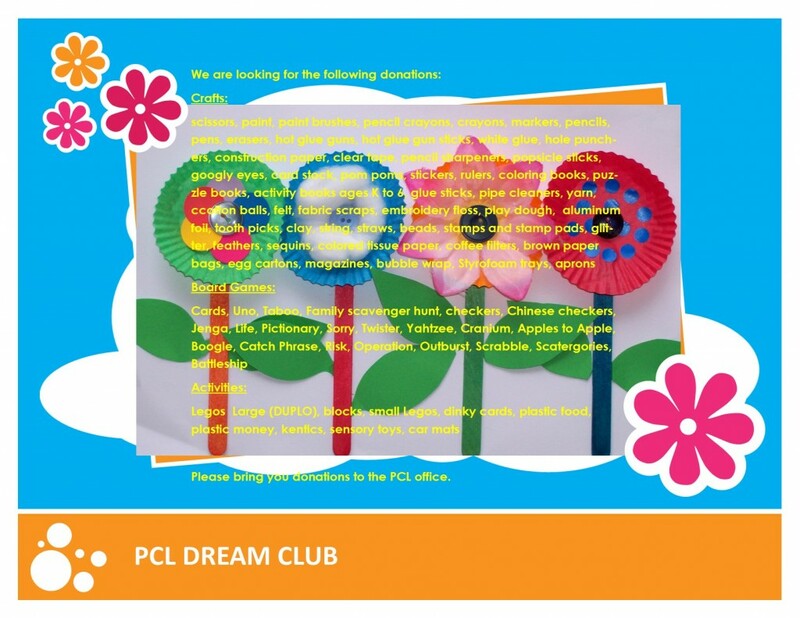 PCL is launching a new day program called DREAM (Dedication, Recreation, Education, Accomplishment, and Meaningful). The program focuses on providing a whole range of physical and creative activities for people in our care and to those individuals with developmental disabilities who are receiving Passport funding from the Ontario Ministry of Community and Social Services. We are currently looking for donations in kind to support this new program. Check out our flyer to see what you could donate.